MU (Moog Unit) is also referred as Dotcom. MU belongs to the 5U formats and shares the same height with the MOTM format but differs in width. 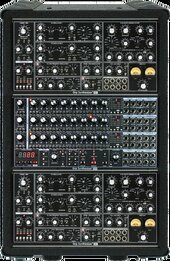 There are 877 MU modules to choose from. Users build 3263 Racks in this universe. ВНИМАНИЕ ТОВАРИЩИ!!! On the eve of the international workers solidarity Day and the spring day I am glad to offer you holiday sets with a big discount! The offer is limited so hurry up to take advantage! :) https://reverb.com/ru/shop/paratekorg It's not all surprises by may 1, so stay tuned and happy holiday!